In recent years, interest in alternative data and alternative modeling techniques such as machine learning as part of the credit decisioning process has vastly increased. One primary focus is to seek and address advancements in data availability and credit-scoring modeling for thin-files and a group to whom regulators refer to as the credit invisibles. 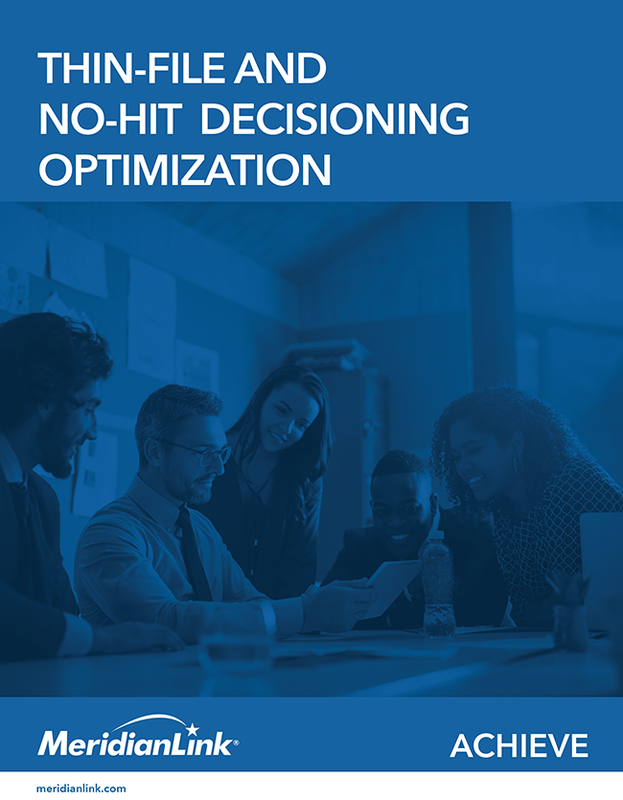 This eBook will describe the issues related to thin-files and credit invisibles as well as show how a good credit decisioning solution tailored to a specific financial institution can provide a framework for better risk assessment, increased lender business through deeper penetration, and improved fair-lending practices. Start using the information from this eBook to improve your processes today!